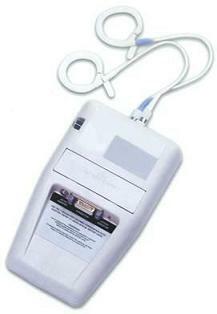 Infusion pumps with disposable syringe or bag reservoir, small enough to be worn by ambulatory patients. These pumps are used to deliver therapeutic drugs. They can deliver liquids intravenously, epidurally, or subcutaneously. 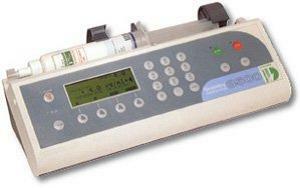 The pumps have a battery powered mechanism (which includes peristaltic, syringe-driven, elastomeric, and osmotic mechanisms) for propelling the infusate, with a flow control mechanism, and a display for user prompts and alarm. 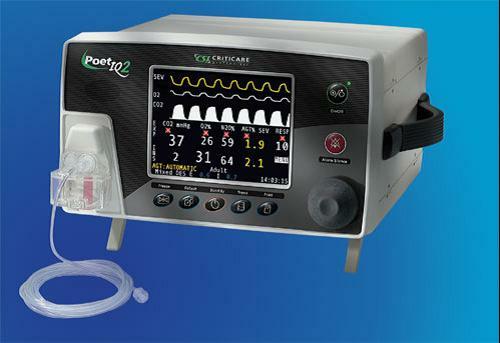 Point-of-Care analyzers for clinical testing. 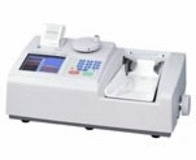 These analyzers take less time than laboratory testing. Time elapsed from test order to physician review of results is less than 5 minutes as opposed to central laboratory testing which can take from 20 minutes to over one hour. 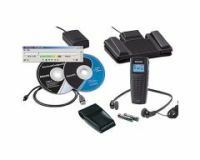 Non-invasive data recorders/storage systems. 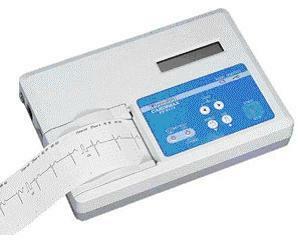 A sphygmomanometer records blood pressure variations during activity. Also suitable for outpatient use. 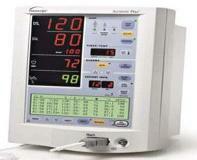 Automatic electronic non-invasive blood-pressure meters and monitors, also other non-invasive parameters. 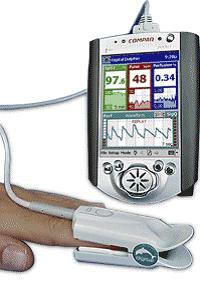 The other parameters may be: pulsed oximetry, temperature, surface temperature, etc. the combinations of selected parameters may differ from one manufacturer to another. A computerized image analyzing system of mammographic images. 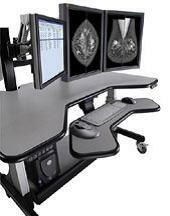 The input to the system is digital mammography images. The system is sometimes designed to digitize films. 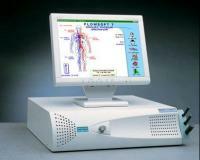 The software packages are used for the recognition of the pathologies of the breast. 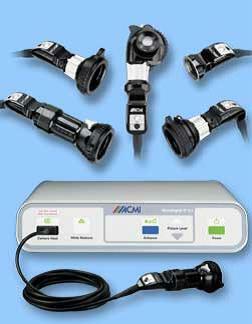 Pill size video cameras that are ingested as pills and transmit endoscopic images throughout the GI tract. They are used for diagnosis and evaluation of esophageal abnormalities and diseases. Once the capsule is swallowed, it is moved along the GI tract by peristalsis, and then excreted. 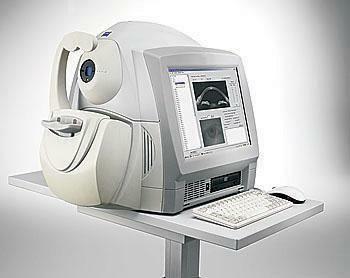 A computerized unit records and displays the images from areas that an endoscope cannot view. Systems used for performing and monitoring stress exercise tests. These systems evaluate cardiac and/or pulmonary function, using treadmills or ergometers. 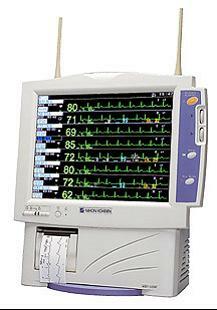 Cardiac stress testing monitors are used as a tool for diagnosis and an overall assessment of cardiac or pulmonary disease. They can be used to predict physiological reaction to stress. A system which drives medical solution into the colon for treating various colon diseases. The system inflates and later deflates the delivered solution. 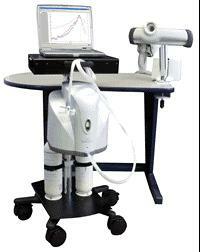 Robotic manipulators used by the medical staff carrying out minimal-invasive procedures (e.g. 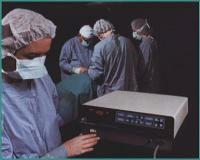 laparoscopic procedures). The “robotic arm” is controlled by the surgeon; it helps with the handle of the laparoscopic devices’ including the camera and makes all maneuvers much more accurate and easy. Those robotic arms assist the surgeon during the procedure and might replace some of the professional staff required for the procedure while increasing the throughput of these procedures. 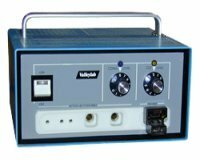 A high power and high frequency generator used for tissue heating. The output is coupled to the patient by capacitance or by inductance. The high frequency radio fields inside the tissue produce heat which has a curative effect. 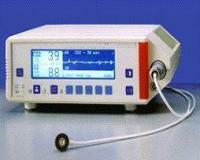 Electromagnetic blood flowmeters measuring blood flow in vessels after various surgical procedures. Electromagnetic blood flowmeters used in vascular reconstructive surgery to confirm and measure velocity of blood flow in vessels. This invasive technique involves use of a catheter inserted into vessel, or use of probe surrounding a surgically exposed vessel, so as not to penetrate the vessel wall. 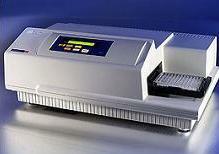 Immunoassay analyzers using photometric radiation restriction methods. 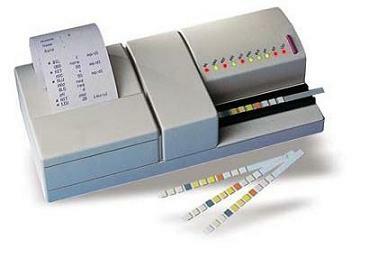 Many of these analyzers use a visible or UV light source. Immunoassays are optically read from within the microplate sample tray. Results are presented and printed. 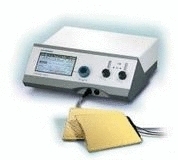 Erection/tumescence physiologic analyzers used to diagnose impotence. 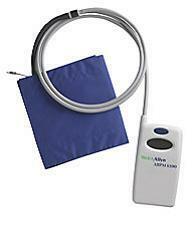 Sensors measure and evaluate blood flow penile changes and/or circumferential volumetric changes. 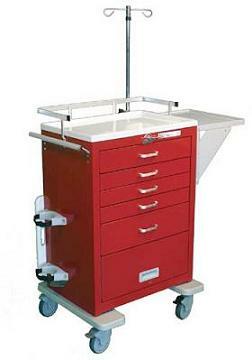 A device or a rack for measuring the rate of blood (erythrocyte) sedimentation. 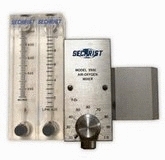 In the simplest form it is a rack with a scale that enables to read the sedimentation fraction. 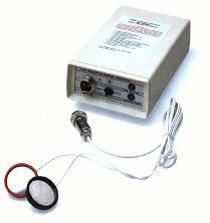 More sophisticated equipment for this purpose is based on electronic detection and measuring circuitry. Some models feature automatic modes. 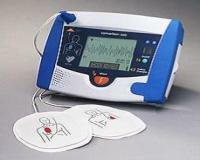 External defibrillators, compact and easy to operate by trained individuals. The fully automated external defibrillators determine the need for the electric shock, and consequently charge and discharge for the delivery of the shock. 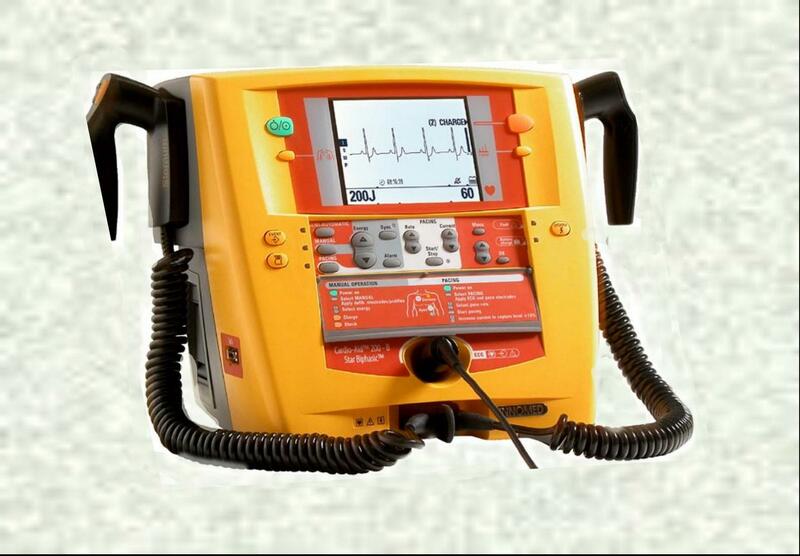 The semi automated defibrillators are very similar, but the discharge is activated by an operator. Pumps designed to deliver feeding solutions through temporary or surgically implanted feeding tubes. 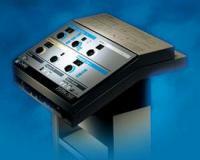 They control flow of liquid feeding solutions using a rotary peristaltic pump or linear peristaltic pump. They have a memory function for different settings, as well as audio/visual alarms to warn of flow changes or malfunctions. 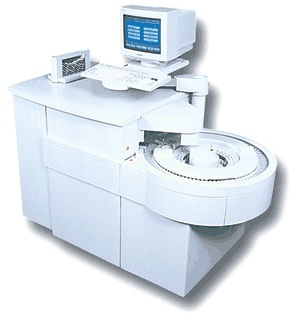 Laboratory analyzers using a separation technique based on charge differences, chemical analysis, or structural differences, to measure glycohemoglobin in whole blood. 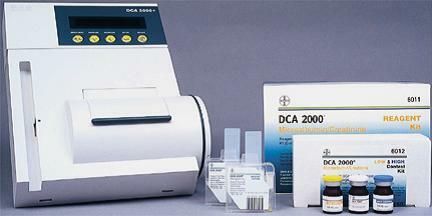 Point-of-care analyzers are mostly used for assessing glucose control in physicians office. Blood levels of GHB are the integrated value of the past three month period. GHB concentration can be measured using several methods, including photometry and immunoassay. 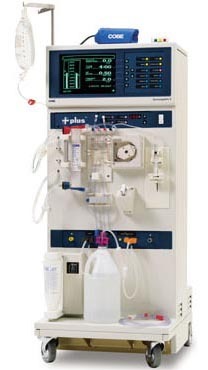 Hemodialysis units that direct blood through a hemodialyzer (coil) that uses diffusion and convection to transfer substances. 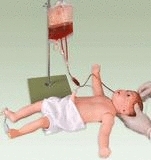 This is done for the purpose of decreasing biochemical abnormalities, and fluid, electrolyte and acid-base imbalances. 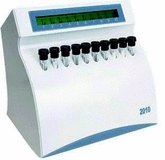 Analyzers for use in the clinical laboratory. Clinical chemistry/immunoassay analyzers use various reagents or antibodies to determine substances and their concentrations in body fluid samples. 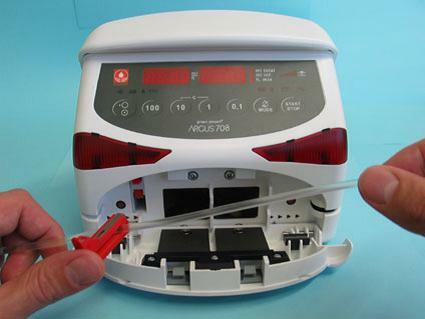 General purpose infusion pumps are used in hospitals, health-care facilities, and in some instances in emergency medical service vehicles. 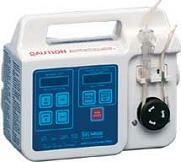 They are used to deliver liquids for therapeutic and/or diagnostic purposes, through IV or epidurally. Some pumps are multi-channel with two or more channels. These pumps are designed to deliver insulin subcutaneously at a slow and continuous basal rate, and, if necessary, in quick large amounts. They deliver insulin similar to a normally functioning pancreas, so the metabolic control is better than with insulin injections. They are generally used for type-1 diabetes patients, but in some cases they can be used for intermittent delivery in type 2 diabetes and in pregnancy induced diabetes. For clinical or home use, devices using intermittent or sequential compression for prevention of DVT and/or treatment of lymphedema. 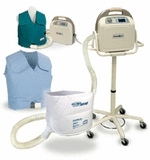 Accessories to IC and SC devices include pneumatic and antiembolic stockings, and pneumatic compression boots. Laryngeal masks consist of a tube with an inflatable cuff inserted into the pharynx, and come in a variety of sizes ranging from infant to large adult. May be used for surgical procedures in many positions, including supine, decubitus, sitting, Trendelenburg, lithotomy, or prone positions. 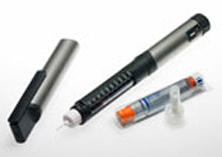 Needle free injectors for anesthetic and medicament injections. Enable pain-free injections. Some are aimed for specific pharmaceutical products like GH, local anesthetic, etc. 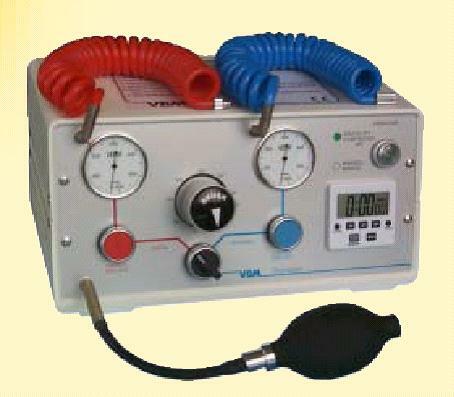 A machine which facilitates the ionization of Sodium in blood circulation. It alkalizes excessive acidized tissues and revitalizes blood flow in the peripheral blood vessel. Simple optical magnifying system with electrical (battery or external source) illumination source for close observation of an external ear. Devices used to mix compressed air and oxygen to achieve oxygen concentrations of 21% to 100% at high or low output flows. Typically, the device receives air and oxygen from the hospital gas pipeline or from other compressed gas sources. 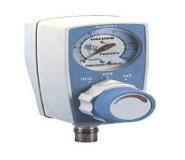 Oxygen air proportioners are usually equipped with a pressure-regulating mechanism. 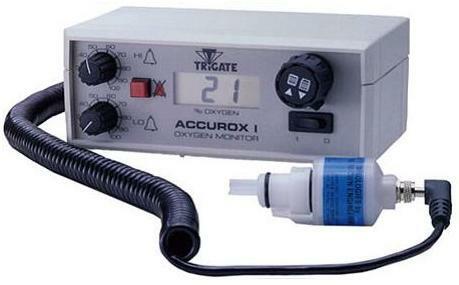 The mixed gas output can be passed through a humidifier or nebulizer. Cardiac pacemakers are surgically implanted beneath the skin, and electrodes are positioned in or on the heart. Reprogramming of parameters can be done noninvasively and some are rate-responsive. 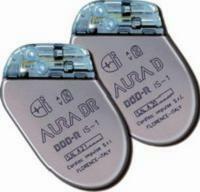 These pacemakers are used as a permanent treatment for bradycardia, and certain cardiac arrhythmias . They include a battery, electronic circuits for producing electrical pulses and sensing cardiac activity electrodes, and leads for conducting electrical signals. 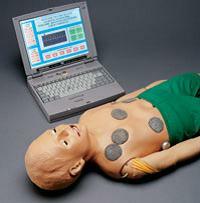 Modules to be used in patient monitoring systems. Each of these modules is suitable for a specific monitoring series and each is designed for a specific monitoring target (e.g. ECG, temperature, BP, respiration, etc.). Some modules have their own screen, power supply etc, while others need to be connected to the system`s main screen, main power supply etc. The pen shaped device is usually loaded by small insulin veils. Upon injecting, the volume of the medicine is dialed and the injection is performed by pushing the aligned piston. Automated peritoneal dialysis is performed mainly while a patient is asleep, using a permanently implanted abdominal catheter which provides access to the peritoneal cavity. The device removes metabolic wastes through selective diffusion across peritoneum. These dialysis units infuse and remove a specially designed dialysate by means of the catheter and a sterile disposable tubing system. A computerized network using desktop, mobile, or hand held computers designed for health-care provider use. This data management information system enables ordering of medications, diagnostic tests, and other patient needs on a computerized network, which can track, check status, and retrieve patient records. Eliminating the need for handwritten or oral orders reduces margin for error. This is part of a hospital-wide system to accurately manage, record, and administer medications, with on-line safety alerts and clinical decision support. 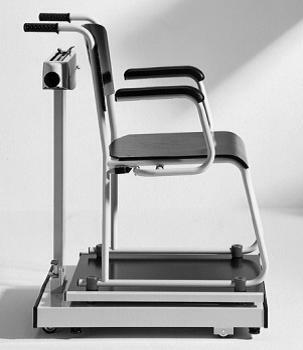 Weighing mechanisms designed for patients who cannot stand on conventional scales. 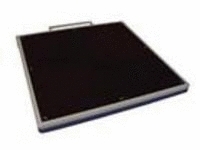 Some have a ramp and platform suitable for wheelchair access, with the weighing mechanism on a separate column with control and display console. 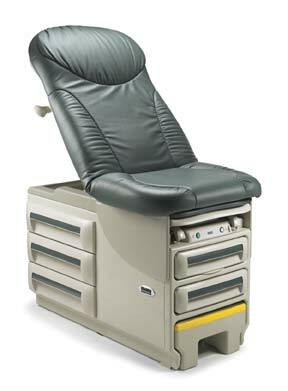 Other models don`t have a platform, and place the weighing mechanism under the chair. 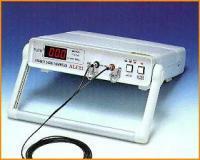 Single channel electrocardiographs that can receive electric signals from up to 12 leads. 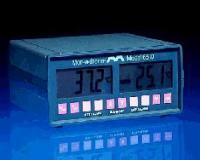 Signals are recorded in sequence, either operator selected or automatically regulated. 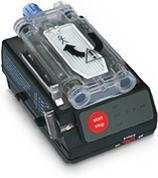 These pumps are used for intravenous, controlled low-flow administrations of infusates. They are especially appropriate for use in situations which necessitate delivery of small quantities of concentrated drugs over an extended period. They may be calibrated according to drug-specific units. A motor-driven mechanism advances the plunger at a predetermined rate, with electronic controls and alarms. The syringe containing the solution must be manually replaced when emptied. 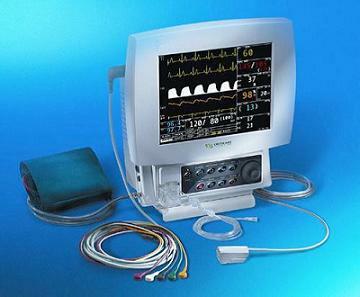 Monitors for continuous temperature measurements and display at patient`s bedside.Monitoring probes may be disposable or reusable, for core or shell temperature measurements. Other areas where infrared thermal imaging can be applied include respiratory dysfunctions, sports medicine, digestive disorders, skin problems, urinary diseases, and oral inflammation and reactions to dental treatment. 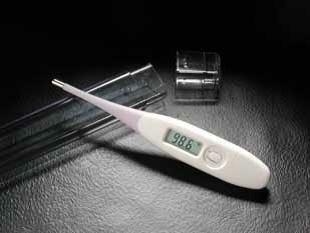 Electronic thermometers with analog or digital display, to measure body temperature. May be used for oral, axillary, and rectal sites, using disposable probe covers. 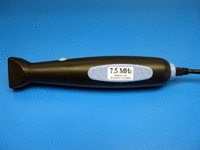 A rigid endoscope for observation of the thorax. Endoscope for examining the pleural cavity through an intercostal space. The organic carbon measurement is achieved by calorimetric technique. Pneumatic tourniquets for use in limb surgery. They are used to maintain a bloodless field during lower limb surgery. They also assist in IVRA, for intravenous local anesthesia, which is an alternative to general anesthesia. Ultrasonic transducers with compact build transmitting and receiving system plugged into USB port for acquisition, processing and displaying ultrasonic images. Ultrasonic transducers packed together with the ultimate electronic circuitry which provides genuine transmitter and receiver. The device is connected to the USB port of most personal computers. 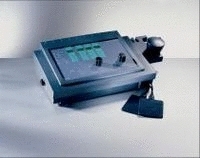 The computer control the transmitter and the receiver providing the proper timing for transmitted and received pulses, it acquires the echoes, performs the basic processing and displays the ultrasonic image. Also more advanced processing programs can provide further image enhancement and key diagnostic data. There are on the market various transducers which cover frequency ranges between the lower frequencies up to 20 MHz and more. 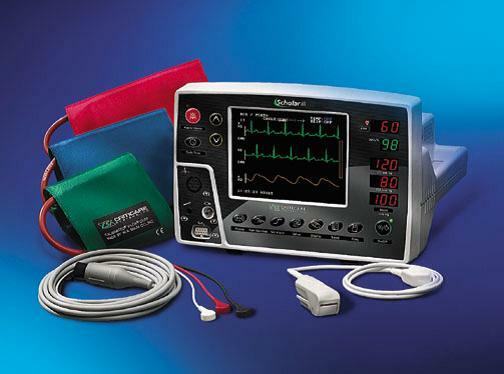 The unit may contain two functions in one enclosure: An electrically programmed pulse generator, and an ultrasound system. It is claimed that applying both outputs has synergetic healing and pain relief effects. 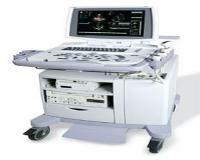 Physical therapy ultrasound systems are used for pain relief and soft tissue healing ( e.g muscle or tendon injury, bursitis). 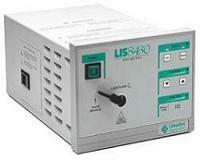 Ultrasound waves are applied through the skin, producing thermal and nonthermal effects on tissues. 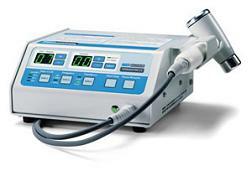 Cardiac ultrasonic scanners including different transducers needed for the evaluation of cardiac functions including blood flow and heart structures. 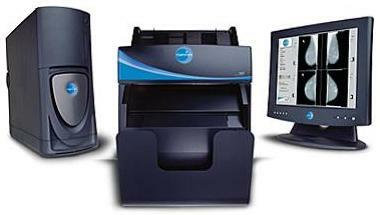 They include software, image recorder, and printer. These systems operate in real-time, for non-invasive imaging of heart structures. 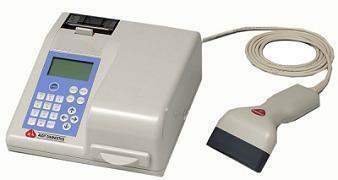 These devices are aimed to perform the urine analysis at the point of care, they are mostly small and easy for use. A typical POC analyzer tests: Bilirubin, Blood, Glucose, ketone body, Leukocytes, Nitrite, pH, Protein, Specific gravity and Urobilinogen.